Bhí taispeántas Eolaí Óg againn sa scoil le déanaí. (Mini Scientist exhibition in the hall today and yesterday). Bhí obair na bpáistí thar moladh beirte (wonderful effort by our students). 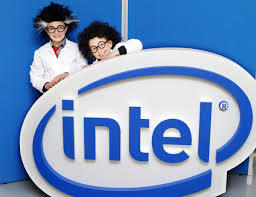 Bhí na moltóirí ó Intel (judges from Intel) an-tógtha ar fad lenár bpáistí (were very impressed) . Comhghairdeachas le Alex & Sam Ó Ríordáin. Tá a dtionscnamh ‘Aclaíocht le hAsthma’ ag dul ar aghaidh go dtí an céad bhabhta eile sa chomórtas. (Their project on Asthma is through to the next stage of competition). Buíochas le múinteoir Eibhlín a d’eagraigh an rud ar fad. Griangrafanna le teacht go luath. (Photographs shall be uploaded soon). Céiliúradh agus Comóradh ar Chuimhniú Céid Sheáin Uí Ríordáin. Griangrafanna ón gComórtas Mini Scientist(Eolaí Óg).